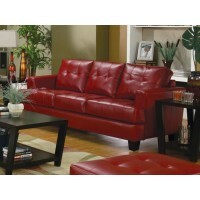 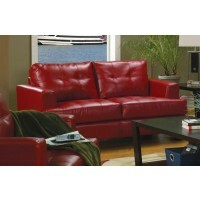 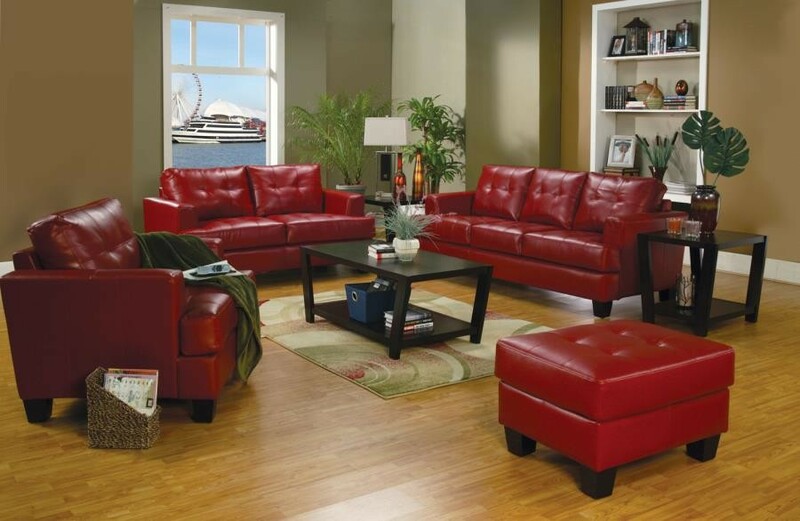 ENJOY THIS VERSATILE BUT STYLISH COLLECTION, UPHOLSTERED IN RED PREMIUM 2MM FULL BREATHABLE LEATHERETTE. 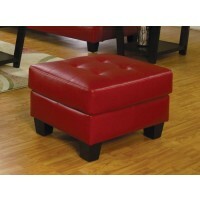 SLEEPER IS AVAILABLE AS WELL AS MATCHING OTTOMAN. 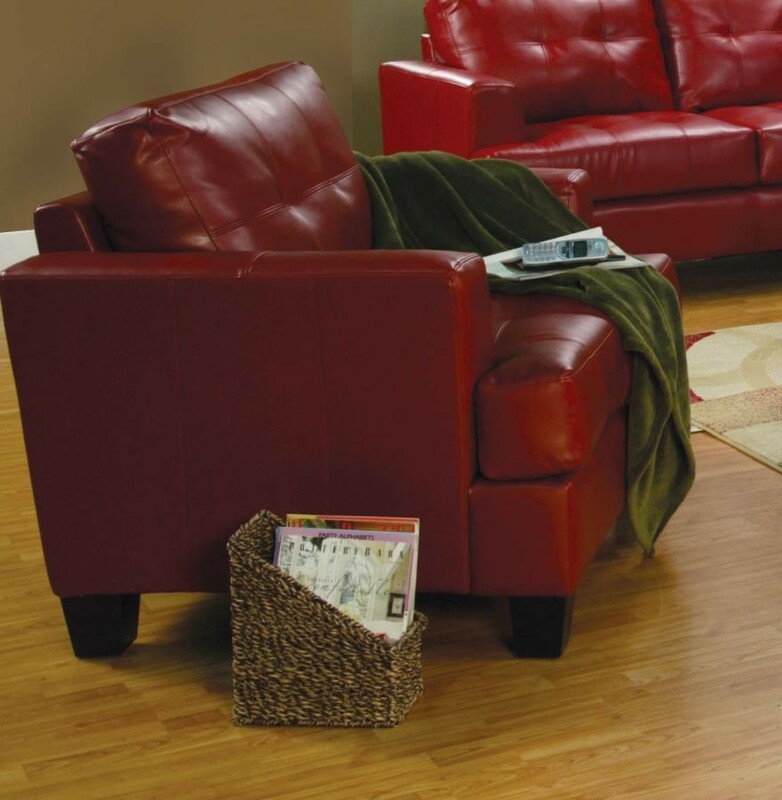 LEG FINISH IS IN CAPPUCCINO. 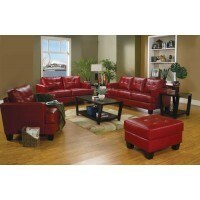 ADDITIONAL INFO: THE CUSHIONS ARE ATTACHED TO SOFA, LOVESEAT AND CHAIR, THEY ARE IRREPLACEABLE.